Ten apart is a very nice place to stay, walking distance to the beach (6 min walk). It is located in a quiet neighborhood. The apartment was spacious, well equipped and very clean. The bed was comfortable. The manager of this place was very nice and gave us lots of information. All in all, we had a very pleasant stay at Ten Apart and highly recommend it to any travelers who wish to be close to a beach in this area. Facilities including pool in good condition. Staff knowledgeable and friendly. Easy on street parking available. Kitchenette in room. Spacious room for the location. Receptionist so nice and amicable. delicious breakfast. 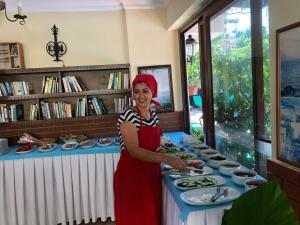 Location Mr. Volkan is very cooperative and professional. There are 2 balaconies with nice view and big enough. comfortable room, nice garden and pool. people are very nice, helping a lot on all the activities arrangement. Lock in a great price for Ten Apart Hotel – rated 9.4 by recent guests! 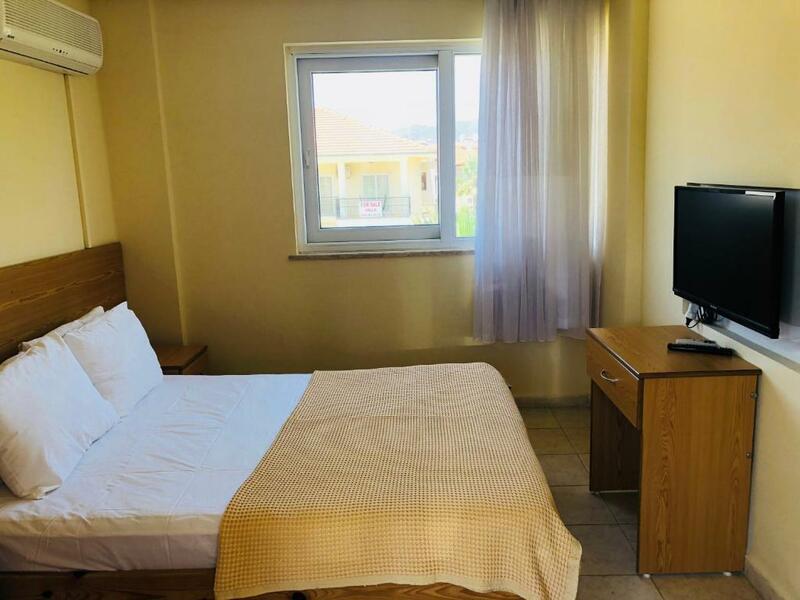 One of our top picks in Fethiye.Located a 5-minute walk away from Calis Beach along the Mediterranean shores in Fethiye, this hotel offers air-conditioned apartments with a balcony, kitchen, a swimming pool and a children's pool. There is a 24-hour front desk service and free Wi-Fi. All the apartments at Ten Apart Hotel include seating area with a sofa, dining area and a kitchen with an electric kettle, oven, refrigerator and kitchenware. Breakfast prepared with local ingredients is served in the hotel. The hotel’s à la carte restaurant has an outdoor seating area by the pool and it serves a good variety of dishes, drinks and beverages all day long.There are also various bars, markets and restaurants within walking distance of the property. Ten Apart Hotel organizes tours. Private parking is available in the property. Oludeniz Beach is 8.7 mi and Dalaman Airport is 31 mi from Ten Apart Hotel. Shuttle service can be arranged upon request with an additional charge. When would you like to stay at Ten Apart Hotel? This air-conditioned apartment includes a bedroom, big balcony and a kitchen with a refrigerator, stove and a dining table. Bathroom comes with a shower and a toilet. This air-conditioned apartment includes 2 bedrooms, 2 bathrooms, and a kitchen with a refrigerator, stove and a dining table. Each bedroom includes air conditioning. This air-conditioned apartment includes 1 bedroom, 1 bathroom and a kitchen with a refrigerator, stove and a dining table. This air-conditioned apartment includes a bedroom, French balcony and a kitchen with a refrigerator, stove and a dining table. Bathroom comes with a shower and a toilet. This studio has a stovetop, air conditioning and balcony. This duplex apartment features a balcony, sofa and air conditioning. This room offers a French balcony, pool views and a private bathroom with a shower. This villa features a balcony, air conditioning and washing machine. 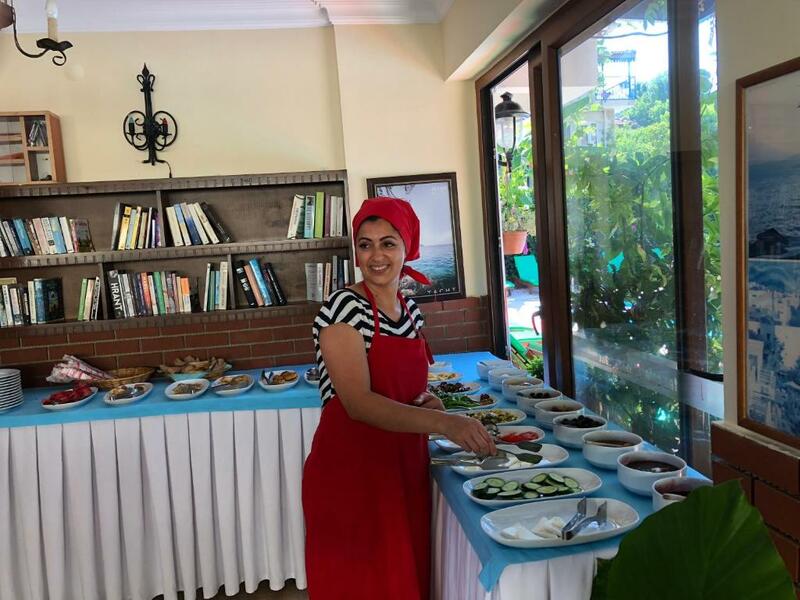 5-10 minutes by walking to famous Calis Beach, Ten Apart Hotel welcomes it's guests with happy & helpful staff, clean and tidy facilities. Ten Apart Hotel is a family business, running by two teacher parents and a son who is a doctor. Calis is one of the neighbourhood's of Fethiye. It's 5-10 minutes by walk to beach. Accessing to city centre is easy with public transport, taxis, bicycles and private cars. House Rules Ten Apart Hotel takes special requests – add in the next step! Ten Apart Hotel accepts these cards and reserves the right to temporarily hold an amount prior to arrival. Guests using a third party credit cards must present a scanned copy of the card and an authorization letter with the a copy of the card holder's passport. Guests who cannot submit the above will be charged again and must pay up front for the full payment of their stay. The previously charged amount will be refunded to the credit card that was used originally. Very clean sheets changed every other day, clean towels and room cleaned daily. Well maintained grounds and pool area. Staff couldn't have been more helpful.Good location beach, restaurants, Sunday market in walking distance.Dolmus stop close by for transport. Very clean and spacious 2 bed Apt.. Host Volkan was very nice and always ready to help. I feel so great! The hotel manager is very friendly! The staff are very helpful, friendly and responsible. The facility is excellent. Definitely worth the money. Need to open the shower for a while until hot water comes out. But that’s fine afterward. It's 300m away from the beach but the price justifies it! What a gem of a find for the price you pay. Look nowhere else peeps just book this and you'll know what I mean. The guy at the check in was super cool and helpful. Forgot his name :( there's a supermarket as well nearby.